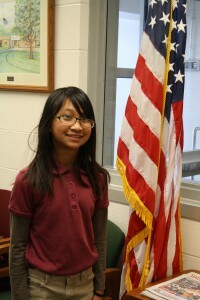 Fifth grade student, Sung Par, is Henry Burkhart’s 2016 Spelling Bee Champion! She spelled the word “exceptional” correctly to win Burkhart’s 54th annual event. Twenty four students from grades 3-5 participated in this exciting competition.